SCIREQ Inc.: To open or close the lungs – that is the question! Although often necessary, mechanical ventilation of small animals during pulmonary measurements can lead to both acute and chronic damage to their lungs, also known as ventilator-induced lung injury (VILI). The injury happens as a result of the frequent opening and closing of alveolar air sacs. 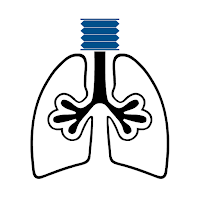 Nevertheless, the two most common, and greatly contrasting methods, to study respiratory diseases include open lung- and closed lung-approaches. This has led to many pulmonary researchers conducting experiments with the goal of determining which approach is the least harmful and the best possible way to minimize VILI. Open-chest models are often used to study ARDS and acute myocardial ischemia and reperfusion. These models allow for investigating cardiac physiology, morphological changes of the lungs, as well as the evaluation of therapeutic interventions. This procedure allows for invasive lung function measurements and tissue harvesting for further experimentation, but must be performed under deep anesthesia. Since opening the chest causes the lungs to collapse, the animals must be mechanically ventilated throughout the process. The flexiVent has often been used in open-chest experiments, as the system allows for ventilation of the subject with a user-defined positive end-expiratory pressure (PEEP), which can be set to prevent airway collapse. Further, it can facilitate the complete recruitment of the lungs, using the Deep Inflation perturbation, before measurements can be taken. Recent experimental evidence suggests that high PEEP does not necessarily reduce lung injury but instead, may lead to the contrary. Higher PEEP results in overstretching the alveolar sacs and potential development of edema, among other cardiopulmonary impairment. Moreover, a recent article by Dr. Patricia Rocco and team1, points out that most publications comparing high PEEP with no PEEP, do so with a combination of low tidal volume and high tidal volume, respectively. Thus, there is no clear indication as to what exactly led to the observed outcomes – high PEEP or low tidal volume. Dr. Rocco goes on to recommend “in order to minimize VILI, we should consider moving away from the classical concept of ‘open up the lungs and keep them open’ towards ‘close down the lungs and keep them closed’”. Fortunately, the flexiVent can be adapted to different experimental conditions, and can provide detailed pulmonary measurements even as research trends change. 1Pelosi, P. et al. 2018. Close down the lungs and keep them resting to minimize ventilator-induced lung injury. Critical Care 22 (1):72.